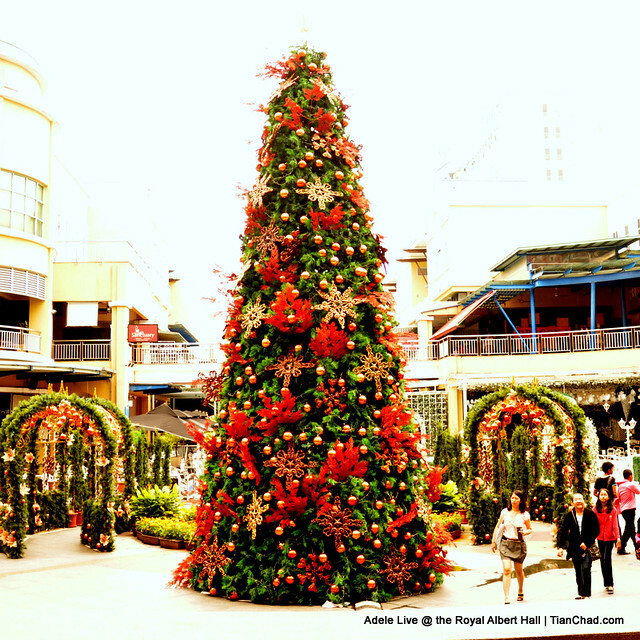 "It is never too late to share good music with friends especially you who reading it now! 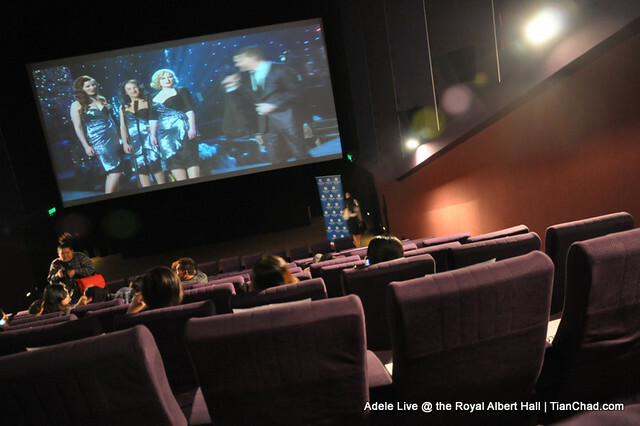 On 22nd December 2011 we see the release of Adele's "Live At The Royal Albert Hall" concert film. It has been an incredible year for Adele, starting with her No1 album "21," her Number 1 single "Someone Like You," the global smash hits "Rolling In The Deep" and her spellbinding live appearance on The Brits. Her album "21" has become the biggest selling album in the world this year with 13 million copies sold and counting while "21" and "19" remain the UK's 1st and 2nd highest selling albums so far. She has received rave reviews for her live shows and "Live At The Royal Albert Hall," recorded at the height of this amazing year, showcases exactly why Adele has become one of the most sought after live performers in the world. On the 1st Dec, Adele received six Grammy nominations which include Song of the Year, Record of the Year, Album of the Year, Best Pop Vocal Album and Best Pop Solo Performance. Live at Royal Albert Hall debuted at number one in the United States with 96,000 copies sold, the highest one-week tally for a music dvd in four years. 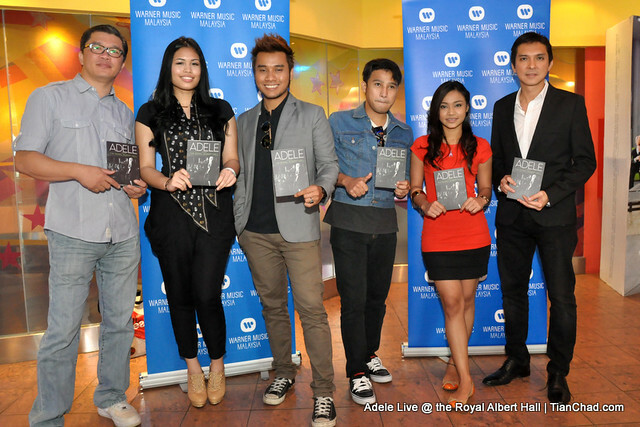 After one week, Live at Royal Albert Hall became the best-selling music DVD of 2011. This makes Adele the first artist in Nielsen Sound Scan history to have the year's number one album, the year's number one single, and the year's number one music dvd." 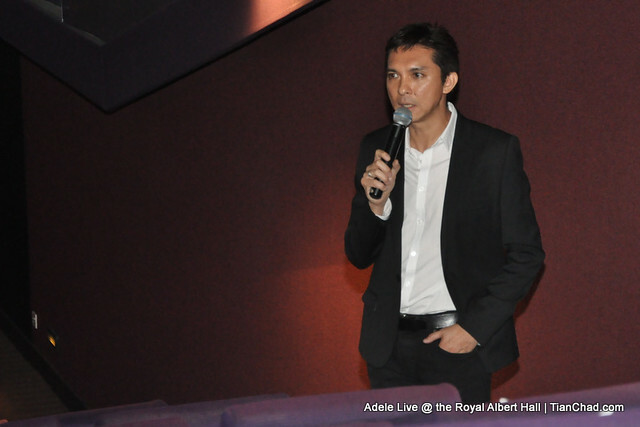 Courtesy of Warner Music Malaysia I was invited to a private screening to watch Adele perform live at Royal Albert Hall in this cinema hall. 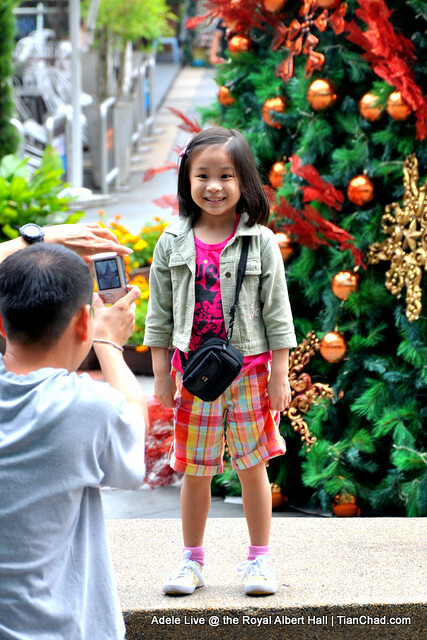 Nice efforts by WMMalaysia and it would be really great experience if without the technical glitches. 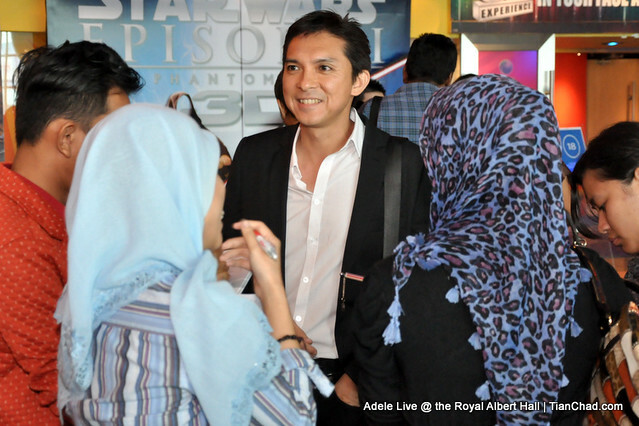 Darren Choy, Managing Director of Warner Music Malaysia thanking media and local artist who attended the private screening. "Live At The Royal Albert Hall" is now available on DVD and Blu Ray featuring the full I hour 40 minutes performance, plus behind the scenes footage shot throughout that day. 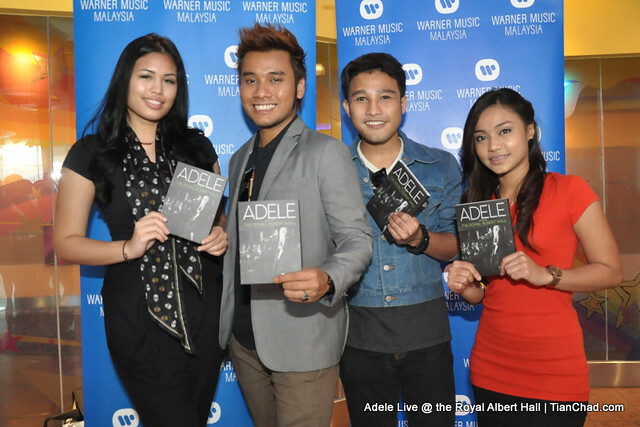 Malaysian fans can now experience Adele Live in concert at the comfort of their home. The package also contains an exclusive live CD of the entire show. This is the first time fans will be able to hear all of Adele's hits and best loved songs on one CD plus her stunning covers of Bonnie Raitt's "I Can't Make You Love Me" and The Steeldrivers "If It Hadn't Been For Love." PS: Sidelined since early October to deal with vocal cord trauma, British singer Adele will return to performing shape at the Feb. 12 Grammy Awards. Whether the artist would be cleared to sing after undergoing November surgery had remained one of the biggest questions heading into the ceremony, to be held at Staples Center in downtown Los Angeles. Yet the Recording Academy put speculation that Adele would sing on the telecast to bed Tuesday morning, announcing that the singer would perform for the first time in nearly five months on the Grammy stage. "It's an absolute honor to be included in such a night, and for it to be my first performance in months is very exciting and of course nerve-racking, but what a way to get back into it all," Adele said in a statement. Adele told The Times she hoped to have future opportunities to win a Grammy. 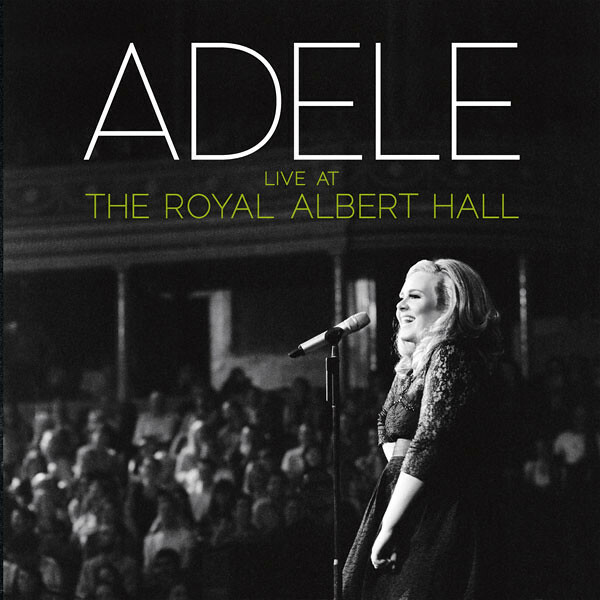 I've been listening to Adele's Live At Royal Albert Hall Concert CD and she has a really awesome voice to be recorded down and share with more music lover. By watching the Concert DVD you won't feel missed the concert at all =) Adele do have a unique laugh and good at telling jokes hahaha. I wish Adele will able to perform at the upcoming Grammy and of course win Grammy too!